Hi there blog friends!! I’m excited today to be participating in the first Blog Hop for Waltzingmouse Stamps for 2014 and there’s a lot of gifty goodness to see today. If you jumped in the middle of our list, the best way to make your way through the hop is to start at Claire’s Blog she has the complete sequence if you get out of order or if one of the links don’t work. In order complete the hop, leave a comment on as many of the Design Team Members Blogs as you can as a random name is selected from each blog and then a final winner picked from those names. The winner will get a free stamp set of their choice from the Waltzingmouse Stamps store. You have until March 2nd at 5:59 AM CST to leave your comment and then you can check on the Claire’s Blog on March 4th after 6am CST to see if you are a winner. Stay tuned, below I’ll tell you your next stop along the hop!! We all know what it’s like when you need to give a gift and aren’t quite sure what to give. Me? I’m the gift card queen but that’s definitely the kind of gift that needs to be dolled up to personalize it. 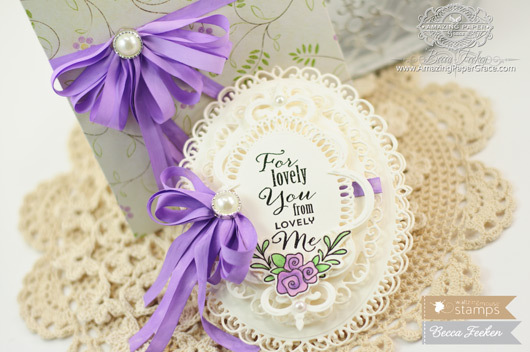 The new set today is Gift Card It and it has the sweetest sayings and embellies for a darling presentation! My first project is a frilly ensemble for a gift card gift with an envelope (yes it really does fit inside). The picture below is the envelope and the inside of the card. 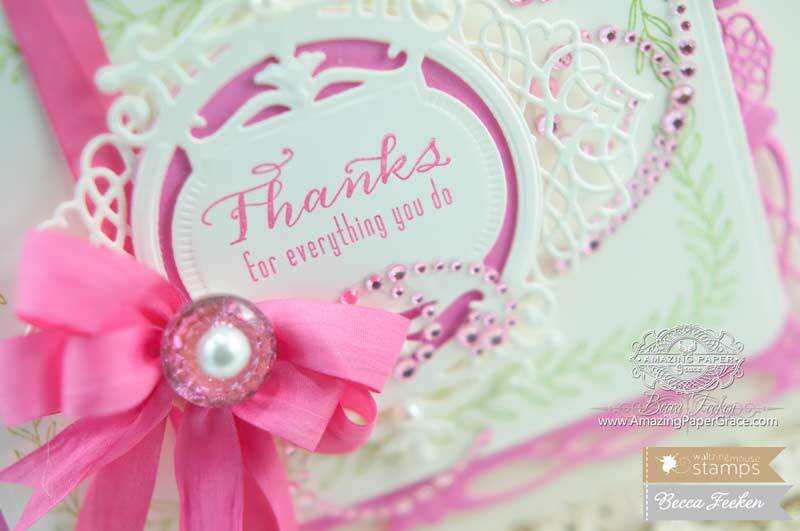 To make my card I used Spellbinders Elegant Ovals and for embellishment of the top layer I used Spellbinders Twisted Metal Tags and Accents. On the inside I created a pocket using Elegant Ovals and cut it midway up using Spellbinders Labels Four. For my second project I custom dyed some fuchsia ribbon and went with a bright fushia and cream card with the lovely leaf border from the stamp set. It was a “quick to put together” thank you card. I stamped the frame from Gift Card it onto a layer cut with Spellbinders Curved Matting Basics B. I used Spellbinders Romantic Rectangles Two as a border. I cut two to acommodate the height – I simply trimmed half of the edge off to give the border some symmetry then added the decorative piece from Spellbinders A2 Tranquil Moments between the two pieces to disguise where I cut. Lastly I layered the filigree piece from A2 Tranquil Moments and added the small piece from Spellbinders 5 x 7 Heirloom Legacy on top. 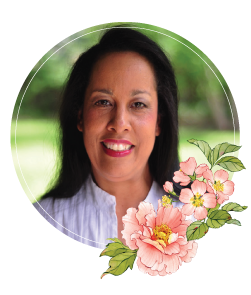 You’ll want to be sure to make in through the entire hop and for the next gorgeous creation, your next stop is with Jennifer Holmes – prepare to be amazed!! Thanks for stopping by and I’ll see you tomorrow. I have a sponsored giveaway that you won’t want to miss!! These are both gorgeous Becca, beautiful sentiments and beautiful cards. WOUW WOUW WOUW once again you´ve just managed to amaze me, god knows why, as I should have learned by now, that you can´t do anything but perfect and gorgeous work, and these cards sure are exactly that once again. I love them both, sooo delicat and beautiful. Oh Becca, I just love these cards! They are so gorgeous! BOTH ARE ABSOLUTELY AMAZING but I think that I like the first one best. I think I know my dies and believe it is Floral Ovals which is one of my most “go to” dies of the 100 or so that I have. Becca I hope you have a blessed and creative weekend. Love the saying on the first one too!!! As always, your cards are BEAUTIFUL!!! So glad you use Waltzingmouse products so we can see how you use them. Lovely girly frills! The envelope is beautiful too. I love the gift card holder. It is so elegant. Would be proud to give it. Wonderful Becca -and love the way you have done the envelope too! Hope you’re well Becca ! 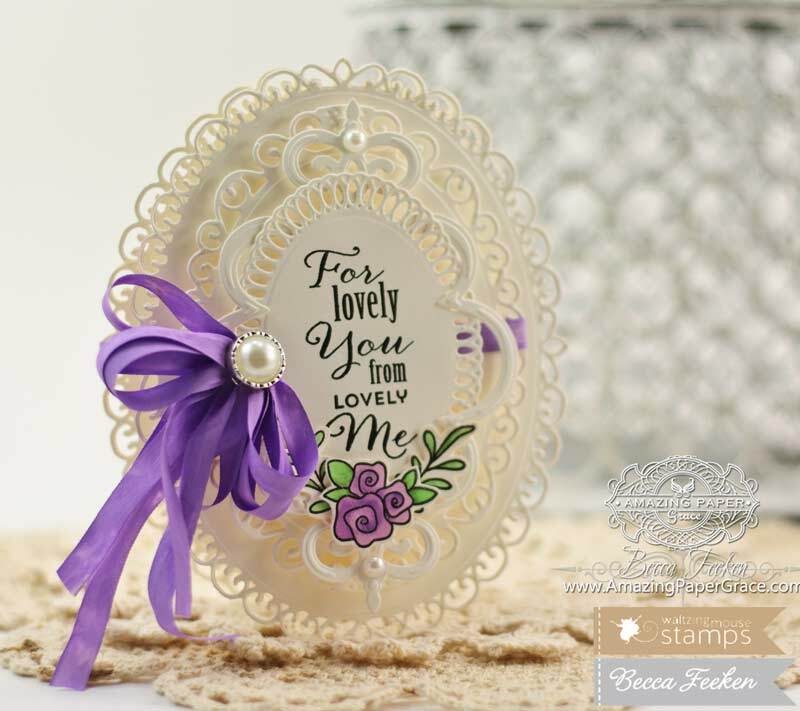 Becca love your card just so pretty and dainty. 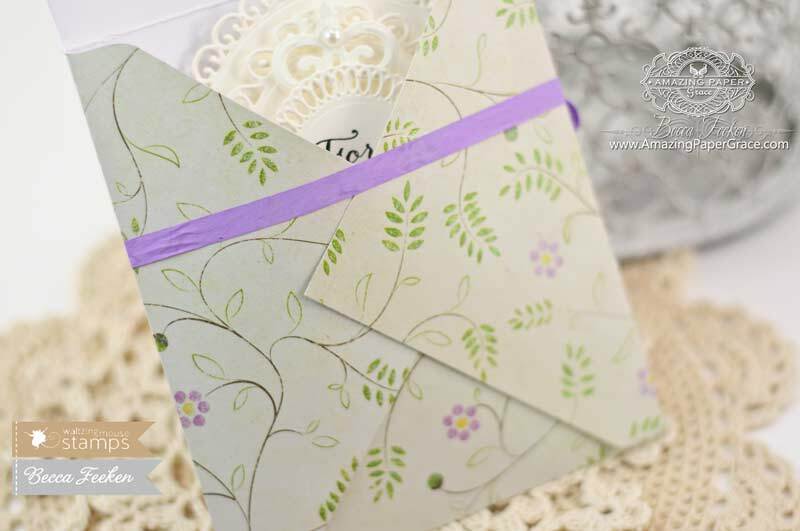 and your envelope and little card is perfect for that time when something that small is called for. Thank you Becca for offering such a nice gift. 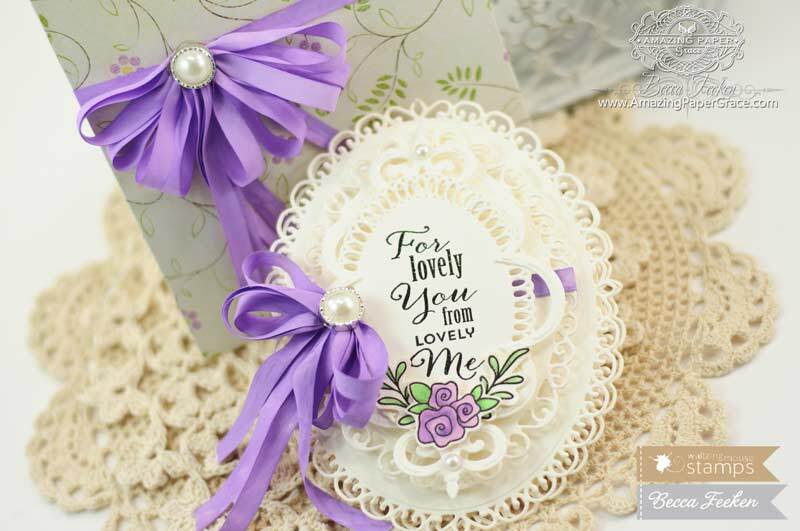 As usual your paper crafting and card making is OUTSTANDING!!!! Yep! I am shouting to the top of my voice (smile). Your work is simply stunning. wow…. these are amazing!!! I love the small envelope die! 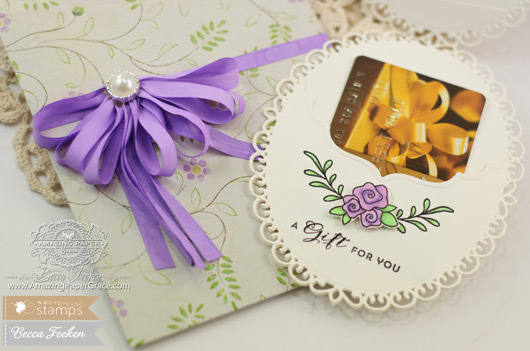 The stamps from the Gift Card It set have the most beautiful and delicate frame that I just have to have also…. my list is growing! as usual, beautiful work. You always inspire me. I called spellbinders recently and touted the ideas and imagination you bring to their company. 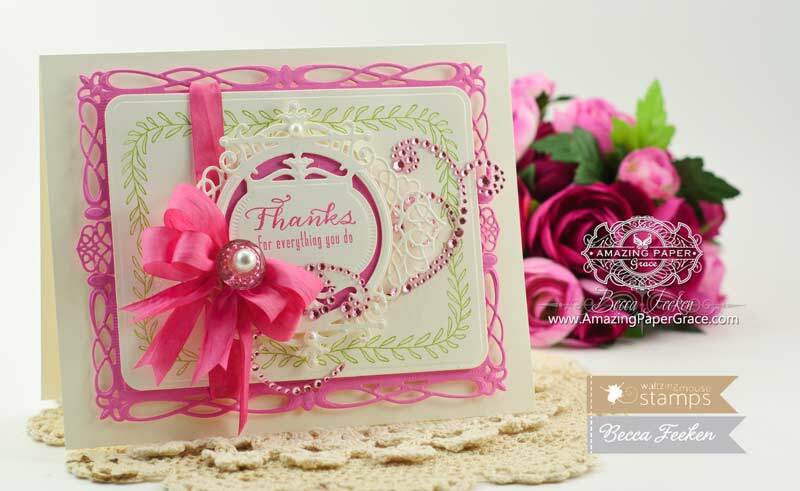 what a glorious card,pink and white, so delicate.. and the dies… big sigh… ah w ell birthdays and mothers day coming up.. time for a hint! your cards are so beautiful! Every day I wait for new Inspirations!